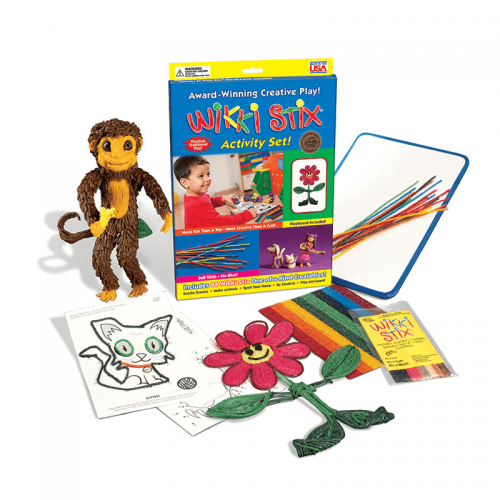 Step aside coloring books…meet Wikkidoodle Fun!! 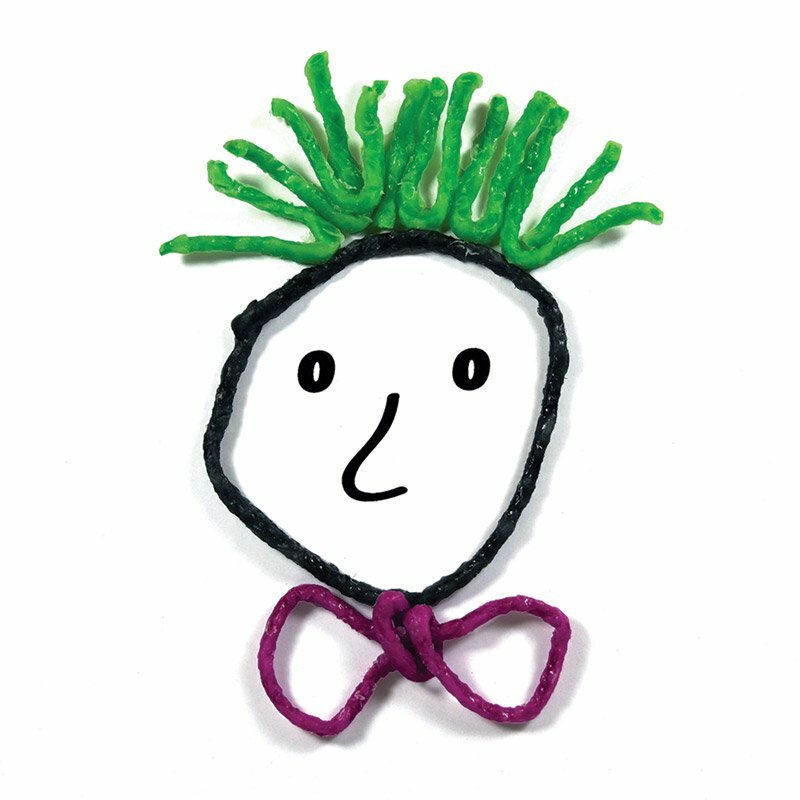 For stressed out college students, overworked executives, worn-out moms…and more…Wikkidoodle Fun is the perfect antidote to anxiety! 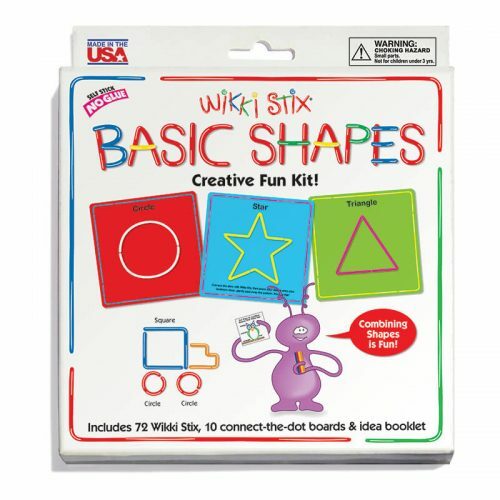 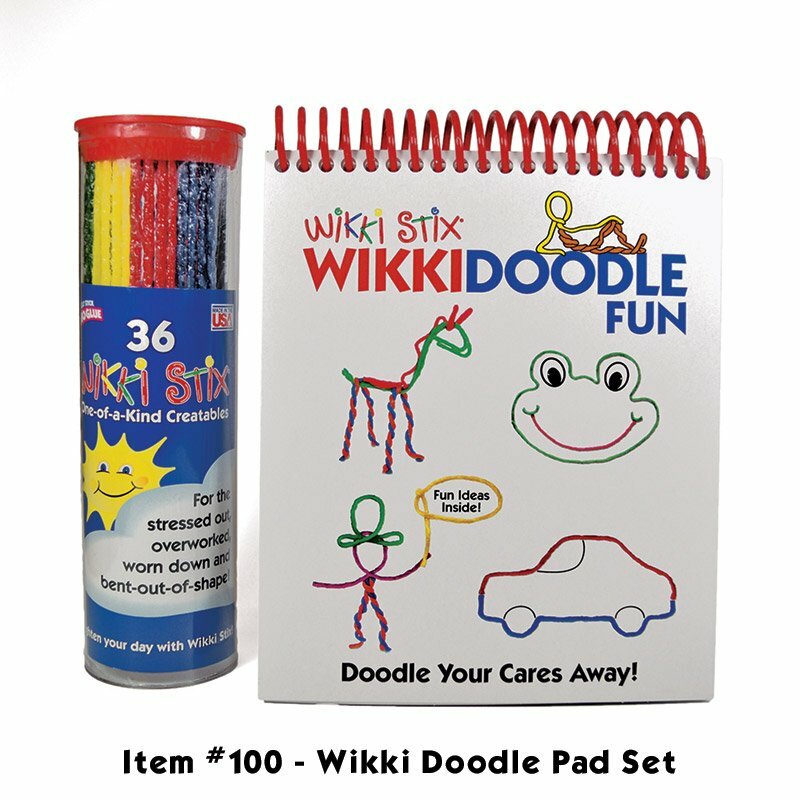 36 Wikki Stix and handy-sized doodle pad make Wikkidoodling fun, easy and relaxing… even on the go! 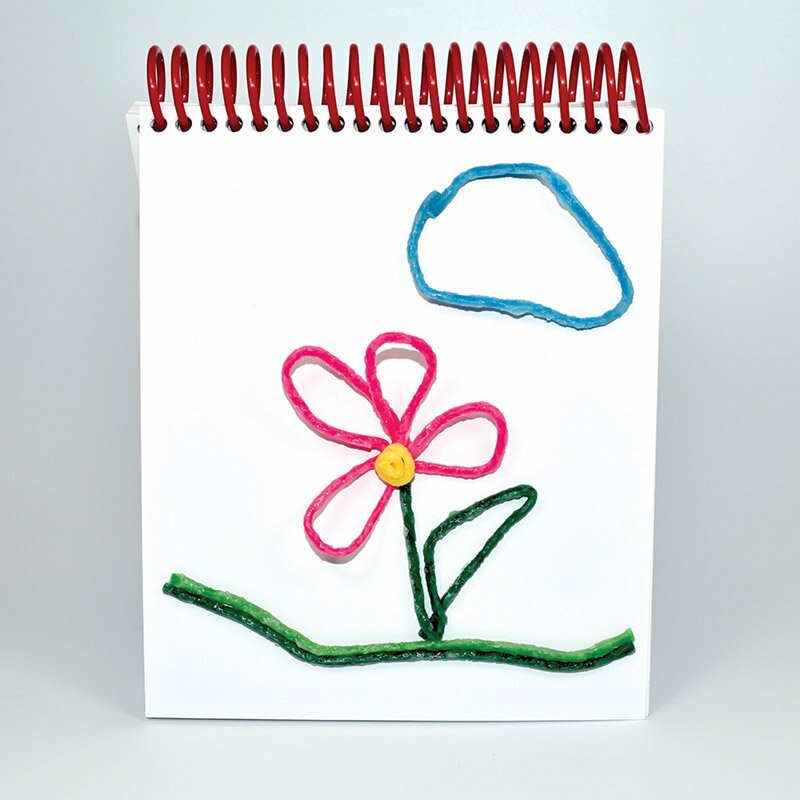 Doodlepad fits conveniently in briefcase or backpack. 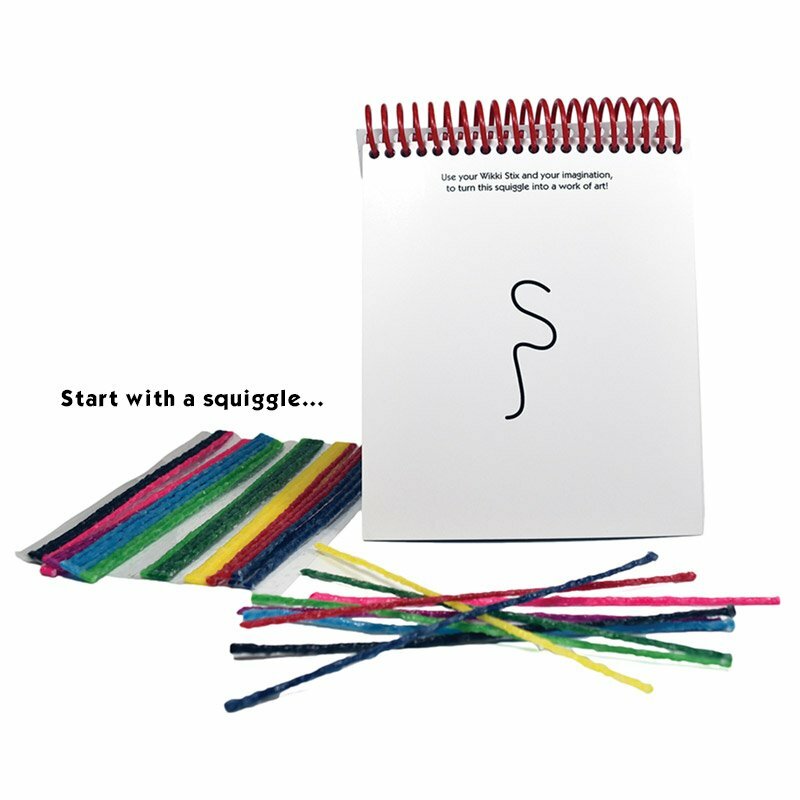 Doodlepad offer 32 pages for creative doodling…with 24 pages offering a fun starting point like two eyes and a nose, or maybe just a squiggle. 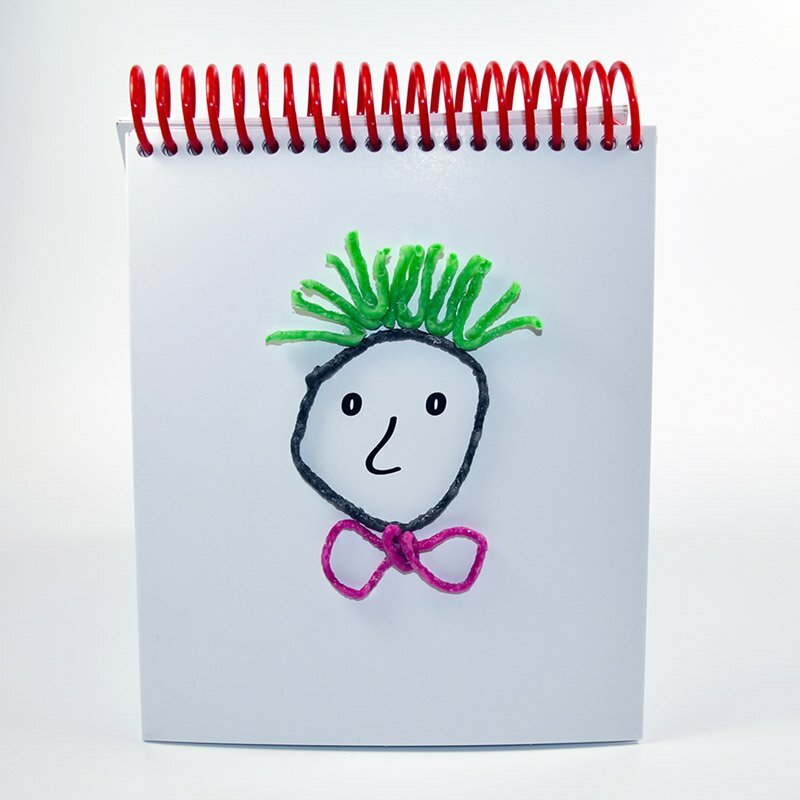 The remaining 8 are blank to help release your inner Picasso. 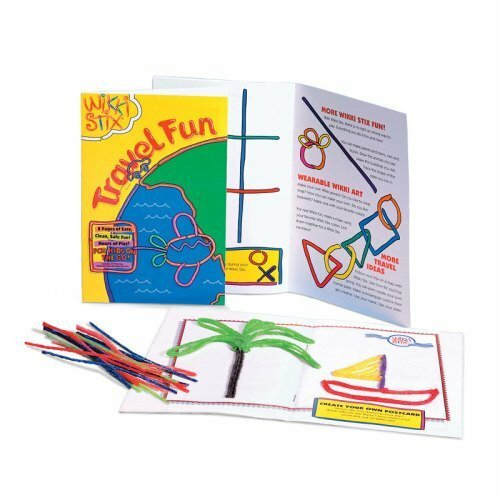 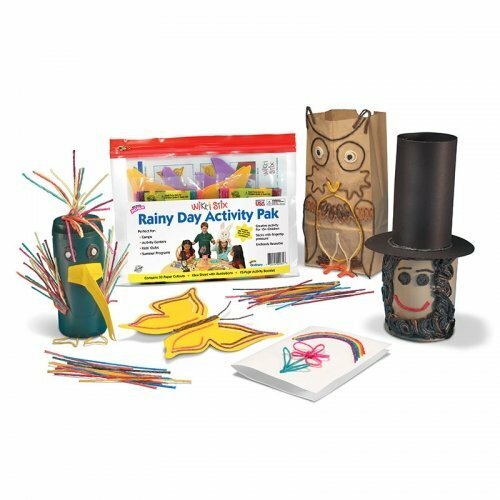 Doodlepad and Wikki Stix tube are packaged in white cardboard tray that can be decorated with Wikki Stix to hold small treasures or desktop items. 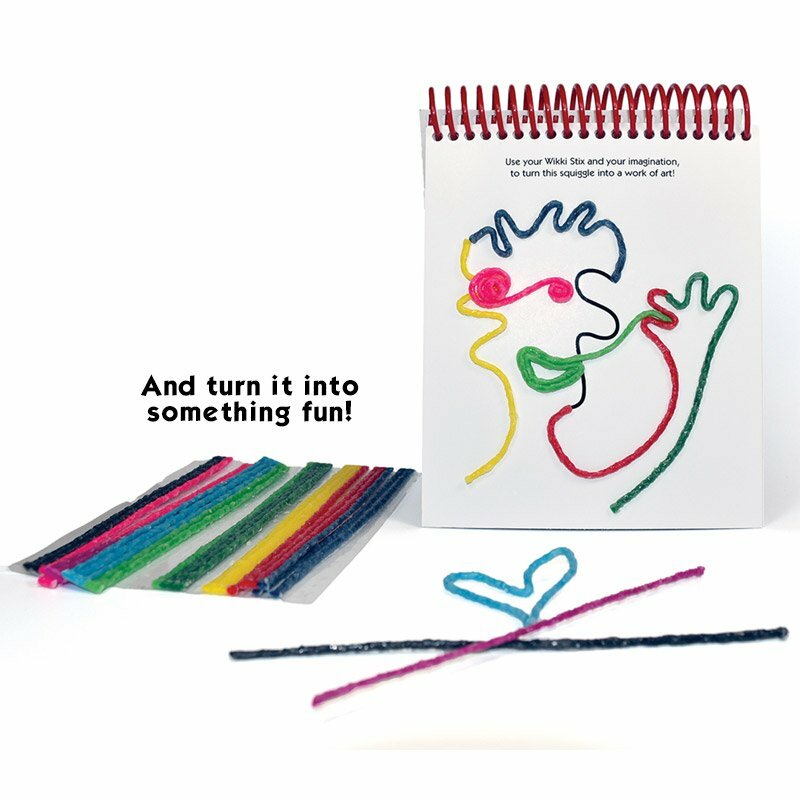 Customize by writing your name with Wikki Stix!